Avisaíl grew up admiring fellow Venezuelan Magglio Ordóñez because he viewed him as the complete package and a five-tool player...Avisaíl and his wife, Anakarina, live in Miami with their two children, Annarella and Avi...Avisaíl describes himself as a family man and enjoys playing with his kids in his free time…he takes them to school and picks them up during the offseason around his workouts...His favorite movies are I Am Legend and The Lion King…the latter makes regular appearances on his home television...Reaching the World Series in 2012 with Detroit was the highlight of his career…he was called up to make his major league debut on Aug 31 and found himself on the World Series roster… Avisaíl earned the nickname "Mini Miggy" that year due to his similar appearance to Miguel Cabrera, both Venezuelan right-handed hitters roughly equal in size. Limited to 93 games due to two stints on the disabled list with a strained right hamstring… underwent arthroscopic surgery on his right knee on Oct 2 in Chicago...Hit a career-high 19 HR, one more than his 2017 total, despite playing in 43 fewer games…sixteen of his 19 HR came vs. RHP and 13 were solo…hit 9 HR in a 14-game span from June 26-July 21...Hit .282 (40-for-142) in 35 games (34 starts) before the All-Star break but .206 (44-for-214) in 58 games (57 starts) in the second half...On April 3 at TOR, his first home run of the season left the bat at 116.7 mph and went 481 feet, according to StatCast…both were White Sox records since StatCast was introduced in 2015...Recorded a career-high 14-game hitting streak from April 22-July 4, with a stint on the 10-day DL in between…hit .377 (23-for-61) with 6 HR and 10 RBI over that span...On July 1 at TEX, went 4-for-5 with 2 2B, 1 3B, 1 RBI and 3 runs…his 4 hits and 3 XBH were both season highs...Recorded multi-HR games on July 3 at CIN and Aug 5 at TB…both homers against the Rays came off Ryan Yarbrough…was the first time in his career he homered twice off lefties...On Sep 25 vs. CLE, hit his 19th and final home run of the season to establish a career high. American League Leaders: 1st-BABIP (.392); 2nd-AVG (.330); 6th-OBP (.380); T6th-Multhit Games (52); T8th-Infeld Hits (22); 10th-Hits (171)...Not Your Average Hitter: Batted a career-high .330, the third-highest mark in major leagues behind Houston's José Altuve (.346) and Colorado's Charlie Blackmon (.331) … it marked the highest average by a Sox player since Frank Thomas won the AL batting title in 1997 (.347) … increased his average by .085 points from 2016 (.245), tied with Washington's Ryan Zimmerman for the largest in the majors and the largest in White Sox history (min. 450 PA; STATS LLC)...Set career highs with 171 hits, 27 doubles, 18 homers, 80 RBI, 75 runs scored, 262 total bases and 50 extra-base hits...Southpaw Success Story: Led MLB with a .424 (56-132) average vs. left-handers, the first Sox player since at least 1974 to accomplish that feat (STATS) … became the first White Sox player since Frank Thomas in 2000 (.407) to lead the AL in that category … the .424 mark also was the highest by a Sox player since at least 1974... Ranked fourth in the AL and tied for eighth in the majors with 18 three-hit games, the most by a White Sox since Magglio Ordóñez recorded 20 in 2002...Posted the following averages: .333 at home, .327 on the road, .374 with runners on base and .310 with two outs … his .358 (78-218) mark after the All-Star break led the majors...Hit safely in 97 of his 136 games, reached base safely in 100 contests and reached multiple times in 71...Was selected to his first career AL All-Star Team...Was named the White Sox Heart and Hustle Award winner by the Major League Baseball Players Alumni Association … the award honors active players who demonstrate a passion for and best embody the values, spirit and traditions of the game...Reached base safely in his first 13 games of the season (4/4-18), hitting .440/.481/.680 (22-50) with three home runs, 13 RBI, nine runs scored, three walks and six multihit efforts...His 22 hits tied for the seventh-most by a Sox in the first 13 games of a season (most since Frank Thomas' 23 in 2000)...Recorded a nine-game hitting streak from 4/4-14, the longest of his career to open a season … joined A.J. Pierzynski (2008) as the only Sox players since 2003 to record eight-plus hits and four-plus RBI within the club's first four games (Elias) … fell a double shy of the cycle on 4/8 vs. Minnesota... Joined Willy García (left field) and Leury García (center field) as the starting outfield on 4/14 at Minnesota, marking the first time in MLB history a starting outfield included three players with the exact same last name (Elias)...His nine-game hitting streak was snapped on 4/15 at Minnesota (one walk). Hit a game-winning, two-run home run in the 10th inning off Ryan Pressly on 4/16 at Target Field … the homer marked his fourth hit of the game, matching his career high (fourth time)...Extended the White Sox lead to 4-0 with a three-run home run in the seventh inning on 4/18 at Yankee Stadium ...Connected on a game-winning, two-run home run in the sixth inning on 4/26 vs. Kansas City … marked his third career go-ahead homer in the sixth inning or later (second of 2017)...Went 3-5 with a home run on 4/28 at Detroit … according to MLB.com Statcast, the home run traveled an estimated 448 feet with a 115.5 mph exit velocity...Went 2-2 with a RBI, walk and HBP on 5/2 at Kansas City, marking his seventh career game reaching base four times...Not So Sleepless in Seattle: Drove in a career-high six runs, matched his career high with four hits and two home runs and tied a club record with four extra-base hits on 5/20 at Seattle … became the first White Sox player since Jermaine Dye on 8/2/07 at the Yankees to record four extra-base hits in a game … his 12 total bases were the most since Dan Johnson on 10/3/12 at Cleveland (also 12) … became just the third Sox to record four-plus extra-base hits and six RBI in a game since 1920, joining Pat Seerey on 7/18/48 at Philadelphia and Robin Ventura on 7/19/91 vs. Milwaukee (Elias)...Joined Washington's Anthony Rendon (4/30/17 vs. the Mets), Cincinnati's Scooter Gennett (6/6 vs. St. Louis), the Dodgers' Corey Seager (6/20 vs. the Mets) and Arizona's J.D. Martínez (9/4 at the Dodgers) as the only players in 2017 to record a game with two-plus homers, four-plus extra-base hits, six-plus RBI and 12-plus total bases...Hit a bases-clearing triple in the third inning on 5/26 vs. Detroit, giving the White Sox a 3-1 lead they would not relinquish...Snapped a 1-1 tie with a go-ahead, solo home run in the seventh inning off Chris Archer on 6/6 at Tampa Bay. Made 112 starts, including 61 as the designated hitter and 51 in the outfield, in his fourth season with the White Sox. Led the major leagues with a .415 average with RISP/two outs (17-41) and tied for fourth in the American League with a .355 average with RISP (33-93). His 18 doubles were a career high and the 32 extra-base hits matched a career high (also 2015) … his 12 home runs and 51 RBI were the second-most of his career. Raised his average from .232 (58-250) in the first half to .264 (43-163) after the All-Star break. Batted a season-high .319 (15-47) with four doubles, four home runs and 10 RBI in 14 August games. Hit .230/.305/.366 with nine doubles, one triple, six homers and 26 RBI in 63 games as the DH and .263/.308/.409 with six home runs and 25 RBI in 55 games as an outfielder. Recorded just five outfield assists after leading the major leagues with 17 in 2015. Was the White Sox designated hitter on Opening Day at Oakland, going 1-4 … made his first start in right field on 4/7 at the Athletics after starting as the designated hitter in each of the first three games. Extended the Sox lead to 7-3 with a three-run home run on 4/9 vs. Cleveland … connected on a 424-foot home run off the batter's eye on 4/14 at Minnesota. Recorded a career-high tying, 11-game hitting streak from 4/25-5/10, going 19-41 (.439) with four doubles, two home runs, nine RBI and a 1.221 OPS during the streak (six multihit efforts). Registered consecutive multihit games from 4/25-26 after recording just two in his first 15 contests … snapped an 0-16 streak with two hits on 4/25 at Toronto … hit a 449-foot home run off R.A. Dickey on 4/26 at Toronto. Returned to the lineup on 5/5 vs. Boston and hit a solo home run … missed four games with a sore right hamstring. Collected three hits on 5/9 at Texas and hit a three-run double on 5/10 at the Rangers to extend his hitting streak to a careerhigh matching 11 games. Matched his season high (second time) with three hits on 5/15 at the Yankees … snapped a 16-game homerless stretch with a solo shot on 5/28 at Kansas City. Hit safely in eight straight games from 6/10-18, going 11-32 (.344) with one double and three RBI … capped the White Sox seven-run rally on 6/13 vs. Detroit with a game-tying, RBI single in the ninth inning. Connected on a game-tying, RBI double in the ninth inning on 6/17 at Cleveland, tying the game at 2-2 … scored the gamewinning run on Jose Abreu's two-run double in the 10th inning on 6/20 at Boston … led off the inning with a walk vs. Red Sox closer Craig Kimbrel. Appeared in a career-high 148 games with the White Sox, his first full season in the major leagues … set career highs in nearly every offensive category. ... Led all major-league outfielders with 17 assists, the most by a White Sox outfielder since Jim Rivera (22) and Minnie Minoso (19) in 1955. ... Recorded four game-ending plays (single, hit-by-pitch, walk and double), tied with Josh Donaldson for the most in the majors … collected 12 game-winning RBI, tied for the 13th-most in the American League. ... Hit .293/.353/.407 with three home runs and 13 RBI against lefties, compared to .247/.297/.353 with 10 homers and 46 RBI vs. right-handers. ... Reached base safely in each of his first 11 games to start the season, the longest stretch on the club … hit .308 (12-39) with three doubles, one home run and three RBI during that span (four multihit efforts). ... Made his second consecutive Opening Day start in right field … went 3-4 with a double on 4/8 at Kansas City … hit safely in five consecutive games from 4/11-18 (.333, 7-21). ... Accounted for the White Sox only run with a solo homer off David Price on 4/17 at Detroit … hit safely in nine straight games from 4/22-5/3, batting .417 (15-36) with five multihit efforts. ... Batted .403 (31-77) with four doubles, three home runs, 14 RBI and a .996 OPS in 19 games from 4/24-5/17 … ranked among the AL leaders during that span in average (2nd), hits (T3rd), on-base percentage (7th, .425) and OPS (8th). ... Recorded his first career game-ending hit on 4/26 vs. Kansas City, a ninth-inning single … the game resumed following a suspension due to rain on 4/24. ... Drove in the game-winning run with a RBI single off Joba Chamberlain in the bottom of the eighth on 5/6 vs. Detroit … Chicago trailed 6-3 entering the bottom of the frame before Melky Cabrera tied the game with a three-run home run. ... Started a ninth-inning, game-winning rally with a two-out single off Aroldis Chapman on 5/10 vs. Cincinnati … scored the game-ending run on Gordon Beckham's single. ... Recorded six multihit efforts in eight games from 5/9-2-17, hitting .429 (15-35) with three home runs and eight RBI. ... Connected on a game-winning, two-run double on 5/16 at Oakland … the double completed a five-run seventh inning that erased a 6-2 deficit … registered his second straight three-hit game on 5/17 at the A's, including a home run and two RBI. ... Was removed from the game on 5/26 at Toronto with right knee inflammation and missed the next four games … returned to the lineup on 5/30 at Houston and went 1-4. ... Homered three times in four games (seven RBI) from 6/5-8, including in back-to-back games from 6/7-8. ... Was hit by a pitch with the bases loaded in the 11th inning to end the game on 6/5 vs. Detroit … was the first White Sox to record a game-ending, hit-by-pitch since A.J. Pierzynski on 4/5/07 vs. Cleveland. ... Recorded a nine-game hitting streak from 6/25-7/6, batting .382 (13-34) with two doubles and four RBI (four multihit). ... Robbed Chris Davis of a game-tying solo homer in the ninth inning on 7/5 vs. Baltimore, preserving a 3-2 Sox win … matched his career high with four hits (second time) on 7/8 vs. Toronto. ... Doubled on 8/3 vs. Tampa Bay, snapping a 14-game stretch without an extra-base hit … homered in consecutive games from 8/4-5 vs. the Rays … his previous homer came on 6/8 vs. Houston (span of 46 games without a home run). ... Drew a game-ending walk in the 10th inning on 8/5 vs. Tampa Bay … became the first player to record a game-ending walk and hit-by-pitch in a season since Montreal's Rodney Scott in 1979 … established a career high with four RBI. ... Recorded his third career multihomer game on 8/10 vs. the Angels … matched his career high with four RBI. ... Connected on a game-ending, RBI double on 8/12 vs. the Angels … it marked his fourth walkoff RBI of the season, the most by a Sox since Joe Crede in 2004 (five RBI). ... Made his first career start at designated hitter on 8/17 at Los Angeles-AL, going 2-3 with a double … drew a game-winning, bases-loaded walk in the 10th inning on 8/24 at Seattle. ... Hit his first career pinch-hit home run (off Justin Wilson) on 9/27 at New York-AL, accounting for the Sox only run. Appeared in just 46 games with Chicago due to a torn labrum in his left shoulder suffered on 4/9 at Colorado...Made all 46 of his starts in right field … started 38 of the club's final 40 games after returning from the disabled list on 8/16...Went 2-4 in his first Opening Day start vs. Minnesota...Recorded his first multihomer game and collected a career-high four hits on 4/8 at Colorado...Left the game on 4/9 at the Rockies in the sixth inning after suffering a torn labrum and avulsion fracture in his left shoulder attempting to make a diving catch in right field...Was placed on the disabled list on 4/10 and underwent surgery on 4/15 at Rush Oak Park Hospital … was transferred to the 60-day disabled list on 4/27...Was sent on an injury rehabilitation assignment to Class AAA Charlotte on 8/1, where he hit .340 (17-50) in 13 games...Returned from his injury rehab assignment and reinstated from the 60-day disabled list on 8/16...Started in right field and hit cleanup on 8/16 vs. Toronto, going 2-4 with a double, RBI and run scored … homered and matched a career high with three RBI on 8/20 vs. Baltimore...Hit a game-winning, two-run single in the bottom of the eighth inning on 9/10 vs. Oakland...Recorded his second career multihomer game on 9/21 at Tampa Bay (442 and 468-foot solo shots off Nathan Karns)...Played for Aragua in the Venezuelan Winter League, batting .312 (39-125) with eight doubles, two triples, five home runs and 22 RBI in 34 games. Batted .283 (69-244) with seven home runs, 31 RBI and 31 runs scored in 72 combined games with Chicago and Detroit … appeared in 42 games with the White Sox after being acquired in a three-team trade with Boston and Detroit on 7/30 … the Sox also received pitchers Francelis Montas and Jeffrey Wendelken and infielder Cleulius Rondon (Boston) … the Tigers received infielder Jose Iglesias (Boston), and the Red Sox acquired pitchers Jake Peavy (White Sox) and Brayan Villarreal (Detroit) … started 60 games, including 36 in right field and 22 in center … recorded a .310 average (53-171) vs. right-handers (.219 vs. lefties) … hit .318 (21-66) with RISP and .343 (12-35) with RISP/two outs … batted .241 (49-161) in 30 games before the break, compared to .304 (49-161) in the second half … ranked eighth in the AL with a .354 average (28-79) in August … began the season on the disabled list with a right foot contusion (3/22-4/30) … appeared in six injury rehab games at Class A Lakeland before being reinstated and optioned to Class AAA Toledo on 4/30 … was recalled from Toledo on 5/13 … hit his first career home run on 5/15 vs. Houston (off Dallas Keuchel) … was optioned back to the Mudhens on 6/14, recalled for the second time on 6/17 and optioned back on 6/19 … was recalled by the White Sox on 8/9 … led the Sox with a .304 average (49-161) from 8/9-end of the season …appeared in 36 games (34 starts) in right field and eight (seven) in center … hit safely in 20 of his first 23 games with Chicago, batting .349 (30-86) with two homers and 11 RBI … recorded a career-high, 11-game hitting streak from 8/13-24 (.364, 16-44) … homered in consecutive games for the first time on 8/28 vs. Houston and 8/30 at Boston … missed four games from 9/15-18 while he and his wife welcomed their daughter, Annarella. Tabbed the Tigers Minor League Player of the Year as he saw action with Single A Lakeland and Double A Erie during the2012 season -- hit .299 (144x481) with 17 doubles, eight triples, 14 home runs, 58 RBI and 23 stolen bases in 122 gamesbetween the two clubs ... Assigned to Lakeland to begin the season -- compiled an 11-game hitting streak April 17-30, batting .444 (20x45) withthree doubles, a triple, three home runs and nine RBI. ... Batted .400 (34x85) with three doubles, a triple, three home runs and 13 RBI in 21 games during April. ... Sidelined May 23-31 with a left hamstring strain. ... Had his option transferred from Lakeland to Erie on July 4. ... Posted an 11-game hitting streak July 23-August 2, batting .388 (19x49) with three doubles, a home run and five RBI. ... Collected a season-high four hits on July 26 versus Richmond. ... Hit .330 (38x115) with six doubles, a triple, three home runs and 14 RBI in 28 games during August. ... Recalled by the Tigers from Erie on August 31 -- made his major league debut that evening versus the Chicago WhiteSox as a defensive replacement in right field. ... Collected his first major league hit on September 1 versus the Chicago White Sox, a single off Francisco Liriano. ... Collected his first hit of the post-season in Game Four of the American League Division Series on October 10 atOakland -- became the second player in Tigers history to collect a hit in the post-season at age 21-or-younger...hejoined Ty Cobb in accomplishing the feat. ... Finished with a double, RBI and stolen base in Game Four of the American League Championship Series on October18 versus the New York Yankees -- became the first Tigers rookie to collect an extra-base hit, RBI and stolen baseduring a post-season game. ... Recorded his first extra-base hit in either the regular season or post-season in Game Four of the American LeagueChampionship Series on October 18 versus the New York Yankees -- according to the Elias Sports Bureau, he becamethe fifth non-pitcher to collect an extra-base hit during the post-season before ever doing so in regular season action...he joined Brian Doyle (1978 New York Yankees), Dmitri Young (1996 St. Louis Cardinals), Melvin Mora (1999 New YorkMets) and Steve Torrealba (2001 Atlanta Braves) in accomplishing the feat. ... Collected three hits as a pinch-hitter during the post-season -- became the first player in Tigers history to collect threepinch-hits during a single post-season. ... Named the second-best prospect and best power hitter and rated as possessing the best outfield arm in the Tigersorganization, named the 11th-best prospect in the Eastern League and 13th-best prospect in the Florida State Leaguefollowing the season by Baseball America. ... Saw action in 15 games with Anzoategui in the Venezuelan Winter League following the season, batting .185 (15x54). Finished third on his Single A Lakeland club with 129 hits and 11 home runs during the 2011 season, while he tied forthird with 56 RBI...Third in the Florida State League with 132 strikeouts...Posted a season-best nine-game hitting streak April 23-May 2, batting .385 (15x39) with two doubles, a triple, home run and five RBI -- matched the high with a nine-game hitting streak July 26-August 4, batting .417 (15x36) with three doubles, a home run and five RBI...Collected a season-high four hits on May 1 at Brevard County -- equaled the high with four hits on May 31 versus Fort Myers and June 28 versus Clearwater...Belted a season-best two home runs on August 26 at Clearwater...Tied for fourth in the Florida State League with six home runs during August...Hit .313 (46x147) with runners in scoring position...Named the 10th-best prospect and best defensive outfielder and rated as possessing the best outfield arm in the Tigers organization following the season by Baseball America...Saw action in nine games with Anzoategui in the Venezuelan Winter League following the season. Spent the entire 2010 season with Single A West Michigan, hitting .281 in 125 games...Collected a season-high four hits on May 2 at South Bend -- equaled the high with four hits on August 21 at GreatLakes...Batted .349 (38x109) with five doubles, two home runs and 17 RBI in 27 games during July -- finished 11th in theMidwest League with a .349 batting average during the month...Compiled a 13-game hitting streak August 7-21, batting .345 (19x55)...Named the ninth-best prospect in the Tigers organization following the season by Baseball America...Saw action in five games with Anzoategui in the Venezuelan Winter League following the season. After seeing action in three games with Single A Lakeland, he had his contract transferred to West Michigan for theremainder of the 2009 season on May 14...Collected a season-best four hits on May 22 at Peoria -- matched the high with four hits on July 9 at Wisconsin...Compiled an 11-game hitting streak August 12-28, batting .372 (16x43)...Named the 17th-best prospect in the Tigers organization following the season by Baseball America...Saw action in four games with Anzoategui in the Venezuelan Winter League following the season. Made his professional debut with the Venezuelan Summer League Tigers during the 2008 season -- named theVenezuelan Summer League Tigers Player of the Year...Tied for fourth in the Venezuelan Summer League with 110 total bases and seven home runs, while he finished fifthwith a .449 slugging percentage and tied for fifth with 73 hits...Finished fourth in the Venezuelan Summer League with 40 total bases during June, while he tied for fourth with threehome runs and 16 RBI...Posted an 18-game hitting streak July 5-25, the Venezuelan Summer League's third-longest such streak -- batted .406(26x69) with four doubles, three home runs and 10 RBI during the streak...Collected a season-high four hits on July 5 versus the Venezuelan Summer League Cardinals...Belted a season-best two home runs on July 7 versus the Venezuelan Summer League Astros...Hit .317 (33x104) with four doubles, three home runs and 11 RBI in 27 games during July -- tied for second in theVenezuelan Summer League with 46 total bases and three home runs during the month, while he finished 13th with a.317 batting average. Signed by the Tigers as a non-drafted free agent on July 6, 2007. January 18, 2019 Tampa Bay Rays signed free agent RF Avisail Garcia. November 30, 2018 RF Avisail Garcia elected free agency. July 21, 2018 Chicago White Sox activated RF Avisail Garcia from the 10-day disabled list. July 10, 2018 Chicago White Sox placed RF Avisail Garcia on the 10-day disabled list retroactive to July 9, 2018. Strained right hamstring. June 22, 2018 Chicago White Sox activated RF Avisail Garcia from the 10-day disabled list. June 12, 2018 Chicago White Sox sent RF Avisail Garcia on a rehab assignment to Charlotte Knights. April 24, 2018 Chicago White Sox placed RF Avisail Garcia on the 10-day disabled list. Strained right hamstring. August 8, 2017 Chicago White Sox activated RF Avisail Garcia from the 10-day disabled list. August 7, 2017 Chicago White Sox sent OF Avisail Garcia on a rehab assignment to Charlotte Knights. July 27, 2017 Chicago White Sox placed RF Avisail Garcia on the 10-day disabled list retroactive to July 26, 2017. Sprained right thumb. November 4, 2016 OF Avisail Garcia assigned to Tigres de Aragua. August 23, 2016 Chicago White Sox activated RF Avisail Garcia from the 15-day disabled list. August 20, 2016 Chicago White Sox sent DH Avisail Garcia on a rehab assignment to Charlotte Knights. August 9, 2016 Chicago White Sox placed DH Avisail Garcia on the 15-day disabled list retroactive to August 7, 2016. Sprained right knee. November 2, 2014 RF Avisail Garcia assigned to Tigres de Aragua. August 16, 2014 Chicago White Sox activated DH Avisail Garcia from the 60-day disabled list. August 1, 2014 Chicago White Sox sent RF Avisail Garcia on a rehab assignment to Charlotte Knights. August 9, 2013 Chicago White Sox recalled RF Avisail Garcia from Charlotte Knights. August 1, 2013 Chicago White Sox optioned Avisail Garcia to Charlotte Knights. July 31, 2013 Boston Red Sox traded RF Avisail Garcia to Chicago White Sox. July 31, 2013 Detroit Tigers traded RF Avisail Garcia and RHP Brayan Villarreal to Boston Red Sox for SS Jose Iglesias. July 5, 2013 Detroit Tigers optioned RF Avisail Garcia to Toledo Mud Hens. June 21, 2013 Detroit Tigers recalled Avisail Garcia from Toledo Mud Hens. June 20, 2013 Detroit Tigers optioned Avisail Garcia to Toledo Mud Hens. June 17, 2013 Detroit Tigers recalled Avisail Garcia from Toledo Mud Hens. June 15, 2013 Avisail Garcia roster status changed by Toledo Mud Hens. June 14, 2013 Detroit Tigers optioned RF Avisail Garcia to Toledo Mud Hens. May 13, 2013 Detroit Tigers recalled Avisail Garcia from Toledo Mud Hens. May 1, 2013 Detroit Tigers optioned Avisail Garcia to Toledo Mud Hens. April 25, 2013 Detroit Tigers sent RF Avisail Garcia on a rehab assignment to Lakeland Flying Tigers. March 26, 2013 Avisail Garcia roster status changed by Detroit Tigers. November 20, 2012 RF Avisail Garcia assigned to Caribes de Anzoategui. August 31, 2012 Detroit Tigers recalled Avisail Garcia from Erie SeaWolves. July 4, 2012 Avisail Garcia assigned to Erie SeaWolves from Lakeland Flying Tigers. May 31, 2012 Avisail Garcia roster status changed by Lakeland Flying Tigers. May 23, 2012 Lakeland Flying Tigers placed RF Avisail Garcia on the 7-day disabled list. April 2, 2012 RF Avisail Garcia assigned to Lakeland Flying Tigers from Erie SeaWolves. March 15, 2012 Detroit Tigers optioned Avisail Garcia to Erie SeaWolves. November 18, 2011 Detroit Tigers selected the contract of Avisail Garcia from Lakeland Flying Tigers. March 30, 2011 Avisail Garcia assigned to Lakeland Flying Tigers from West Michigan Whitecaps. January 10, 2011 Detroit Tigers invited non-roster RF Avisail Garcia to spring training. September 23, 2010 OF Avisail Garcia assigned to Caribes de Anzoategui. March 5, 2010 OF Avisail Garcia assigned to Detroit Tigers. October 9, 2009 OF Avisail Garcia assigned to Caribes de Anzoategui. 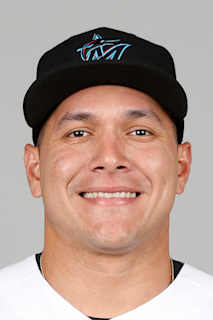 May 15, 2009 Avisail Garcia assigned to West Michigan Whitecaps from Lakeland Flying Tigers. May 7, 2009 Avisail Garcia assigned to Lakeland Flying Tigers from VSL Tigers.